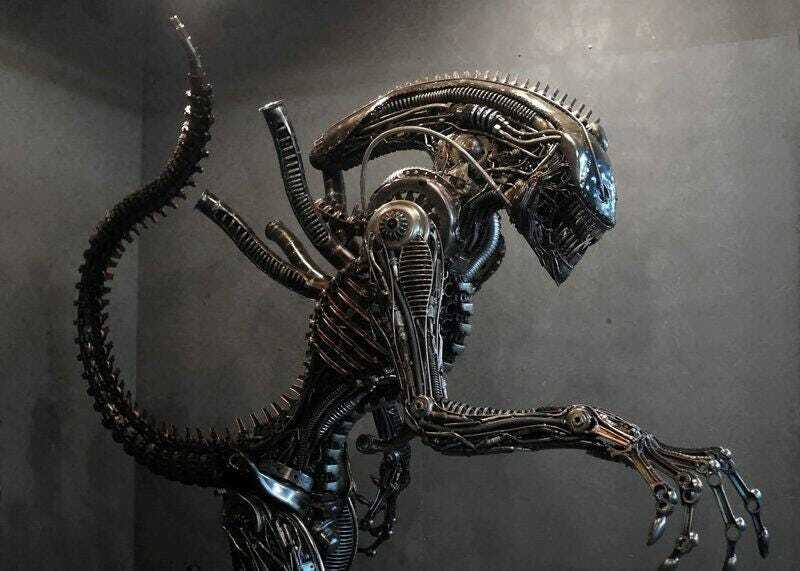 Entertainment Earth posted this amazing, fan-made, life-size sculpture of a Xenomorph made out of pure scrap metal on Twitter, and now we're more terrified of the inevitable robot apocalypse than ever. What do you suppose runs through its veins? Battery Acid?